Are you investing in the latest printing technology to ensure your company is providing the highest product on market today? We assure that you always want to expand your business everyday with investment in printing equipment, human and online marketing. With online printing shops, website is the most important thing to get more deals and Joomla Virtuemart Responsive Printing Company Template is outstanding product that you should view at least once time. 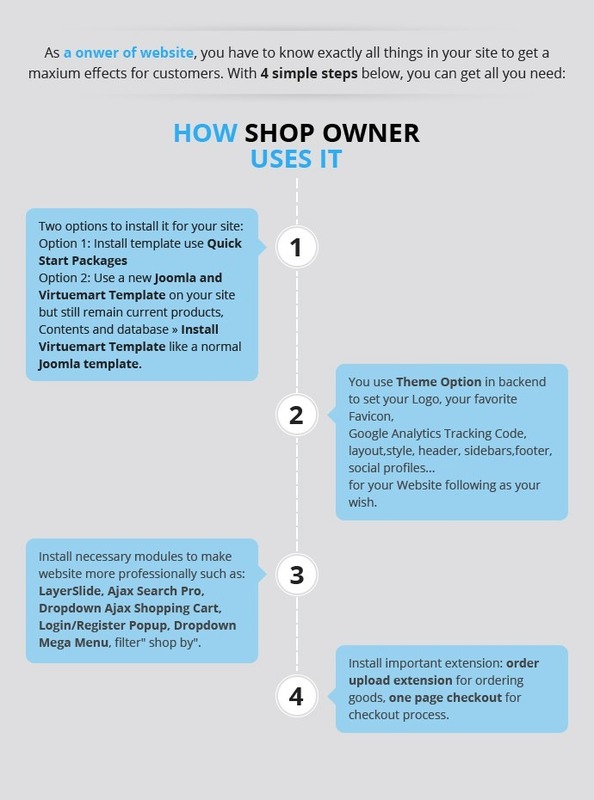 More than 3900+ shop owners trusted and used our template on their sites from 2014. 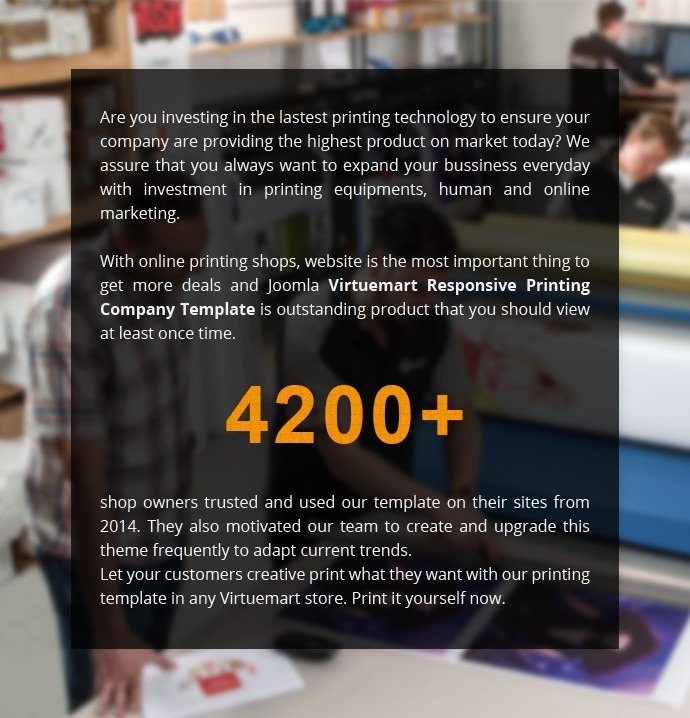 They also motivated our team to create and upgrade this theme frequently to adapt current trends.Let your customers creative print what they want with our printing template in any Virtuemart store. Print it yourself now. 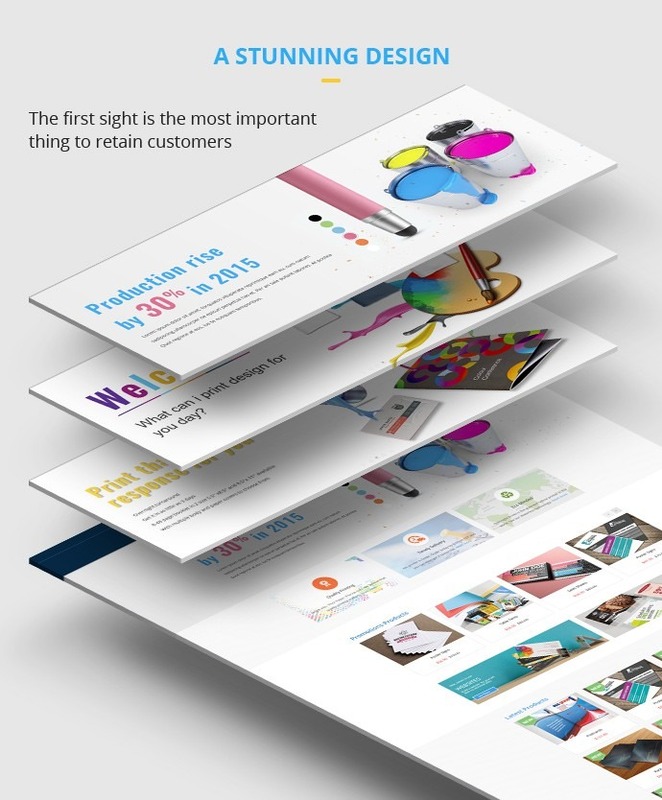 A web-to-print company takes printing requests from customers over the internet therefore it needs to be provided with print designs from their customers for them to be able to create the goods they desire which is why it is quite crucial for a printing company to have a website where customers can place orders, and a website that is highly responsive. With only more than $100, you can own a stunning printing template with many functions which you cannot be found anywhere. Save thousands dollars for shop owner. Responsive template helps your customers can access into your site by any devices anytime and anywhere. You can customize layout design to compatible with the features of your printing company through theme option in back end. Design is crucial because it attracts customers from the first sight and they cannot stop discovering all things in your web. 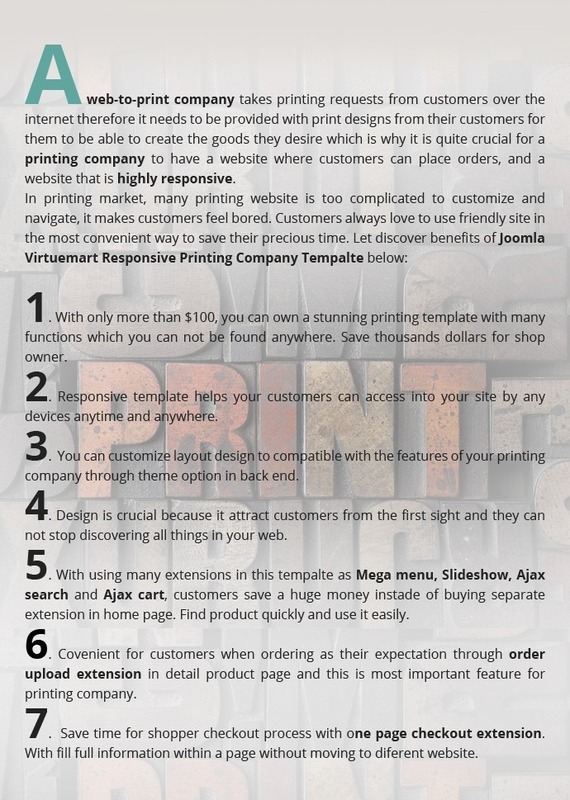 With using many extensions in this template as Mage menu, Slideshow, Ajax search and Ajax cart, customers save a huge money instead of buying separate extension in home page. 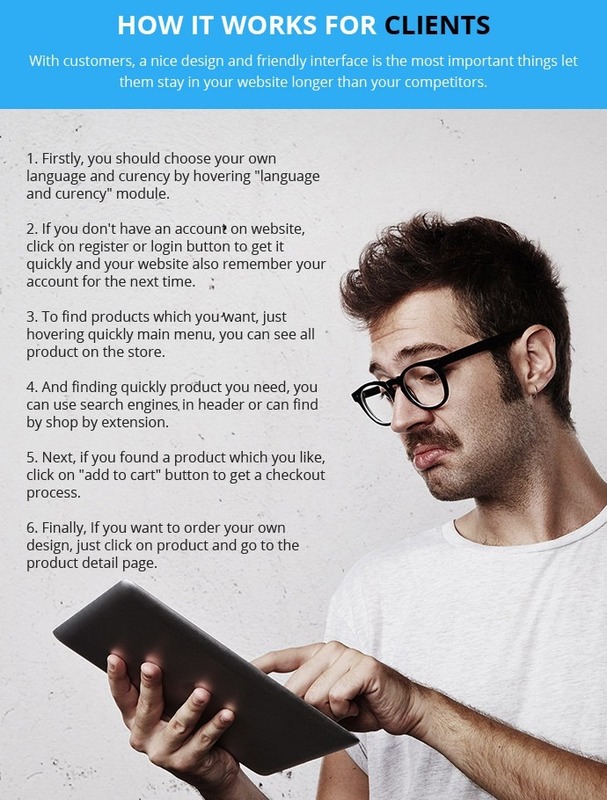 Find product quickly and use it easily. Convenient for customers when ordering as their expectation through order upload extension in detail product page and this is most important feature for printing company. Save time for shopper checkout process with one page checkout extension. With fill full information within a page without moving to different website. With customers, a nice design and friendly interface is the most important things let them stay in your website longer than your competitors. 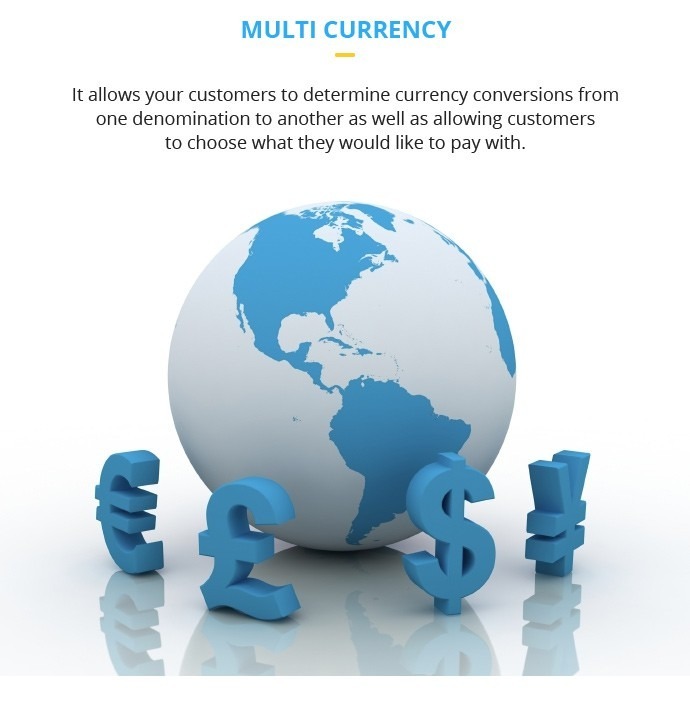 Firstly, you should choose your own language and currency by hovering "language and currency" module. If you don't have an account on website, click on register or login button to get it quickly and your website also remember your account for the next time. To find products which you want, just hovering quickly main menu, you can see all product on the store. And finding quickly product you need, you can use search engines in header or can find by shop by extension. Next, if you found a product which you like, click on "add to cart" button to get a checkout process. Finally, If you want to order your own design, just click on product and go to the product detail page. You can go to Virtuemart Printmart Template Installation User guide to get more detail. Step 2: You use Theme Option in back-end to set your Logo, your favorite Favicon, Google Analytics Tracking Code, layout, style, header, sidebars, footer, social profiles... for your Website following as your wish. Step 3: Install necessary modules to make website more professionally such as: Layer Slide, Ajax Search Pro, Dropdown Ajax Shopping Cart, Login/Register Popup, Dropdown Mega Menu, filter" shop by". Step 4: Install important extension: order upload extension for ordering goods, one page checkout for checkout process. 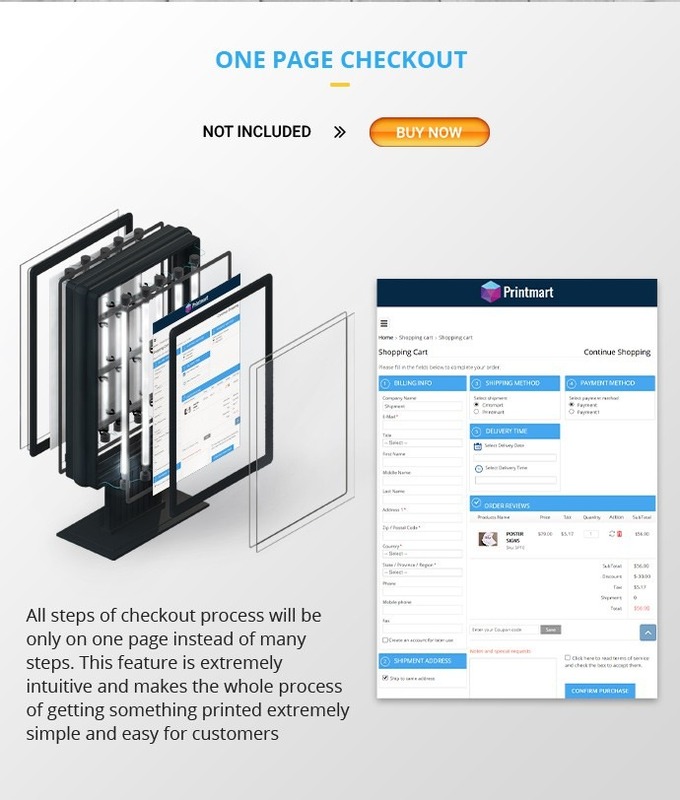 Easy to use: One Step Checkout is easy to integrate and fully compatible with your Virtuemart store. Easy to install, easy to use, easy to customize, lightweight extension. 100% Responsive design: You can checkout everywhere with any devices. An eye-catching interface: One Step Checkout is modern and elegant layouts, elegant colors, 8 preset color themes, unlimited to customize color. Customized Colors: Every module can be changed colors, background colors, text, fonts, integrated with the visual editor. Unlimited color: Unlimited custom color variations. It allows you change colors of dozens of elements, apply textures, upload custom background images drag & drop editor. Unlimited layout: Comes with unlimited different checkout layout styles. Choose the one which suits you best with drag & drop editor. Create unique layout with new advanced visual editor: Use visual advance editor to build responsive layout without coding! Simply and elements with drag and drop function. Arrange Fields: Loading fields that available for Bill to, Ship To and allowed customers to drag and drop, to order their positions without going to Virtuemart choose files and change every field. Arrange Fields: Loading fi to, Ship To and allowed. All in one plug-in: No re-direct to Virtuemart management you can arrange all of billing and shipping fields. Easily control your information. Choose delivery time at checkout process: Everybody loves a little extra! So why don't satisfy your customers with more add-on options? It is very convenient for you to choose the method to checkout wherever you are available. All of standard Virtuemart shipment methods and popular methods like: UPS, USPS, FedEx. Adding custom fonts into your checkout page is quick and simple. It is possible to select from the following options in the drop down list. Icon font is a good way to enhance UI designs of One Page checkout extension. Compared with images, the idea off using embedded fonts for icons is a relatively new idea. Translated automatically into popular languages and regions of buying frequency like: English, French, German, Poland, Portuguese. Block Spam: Allow customers to have 8 pending orders. Customers are defined by IP address. This template also comes with order upload, an intricate and nifty feature that allows customers to place extremely detailed orders, which is quite advantageous for web-to-print businesses. 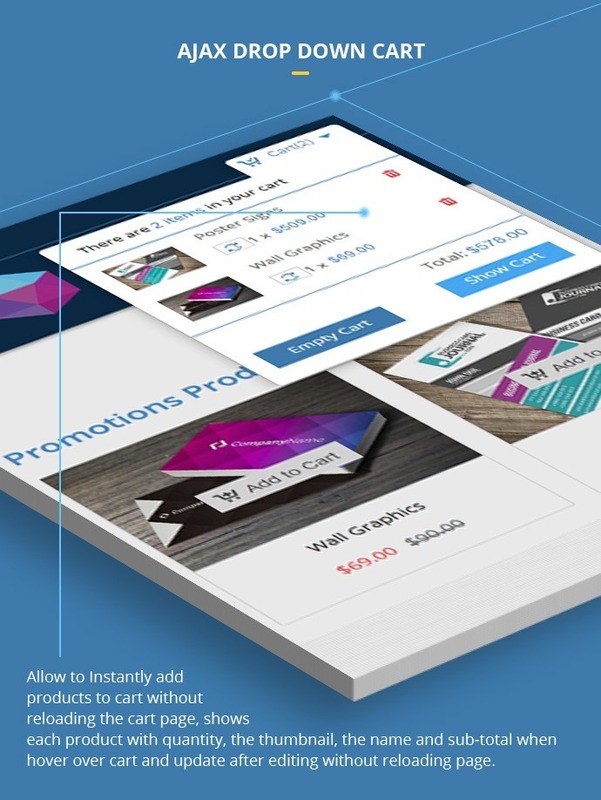 Using Order upload, customers can easily place extremely detailed orders that also contain the designs they want the web-to-print company to print. Upload multiple files: Upload multiple images and files at the same time with Ajax effects, do not need to refresh the product pages. Cancel the upload process anytime: Edit or remove any images and files during upload process. Automatically create thumbnails: Image files will be created with thumbnails automatically. 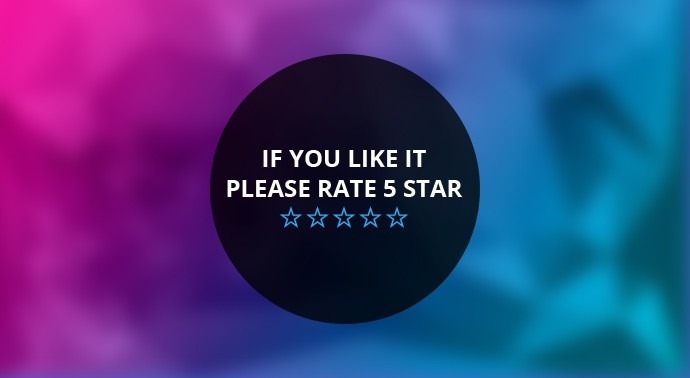 Review uploaded files on the checkout page: After uploading files into product and adding to cart, customer can checkout instantly. Cross - Browser Support: This extension themes work great with all modern browsers like Firefox, Chrome, Safari, Opera and Internet Explorer 9+. Powerful order upload features: With features buttons, add files, upload, cancel, start and delete, shoppers can easily use to complete their files uploading process. Easy to install within only 10 minutes: Just install like normal Joomla plugin. Menu is a key of your site that help customer can easily find any product they need. Menu Effects: You can put Home section on menu. Besides, you easily select background and color for each category. Menu Customizations. Products on menu: Your customers can view featured products/ categories on menu. Custom Blocks: You can select where a block is placed. It can be on top, left, right or bottom. You can also set block width on right or left sides. There are options to hide or show blocks. Category labels: It is easy for you to create a label of each category. You have two options to show or hide it. Configure static blocks on menu. Add thumbnails of products or categories on menu: Able to add thumbnails of each category to the drop-down menu. The module will help your Virtuemart shoppers find products based on keywords easily with instantly look for results. Find products based on Keyword Search easily: This Joomla Virtuemart Extension is a great add on for your Virtuemart store. The module will help your shoppers find products based on Keyword Search easily. Allow to add products instantly to cart without reloading the cart page, shows each product with quantity, the thumbnail, the name and sub-total when hover over cart and update after editing without reloading page. Instantly add products to cart without reloading the cart page: With this extension, your customer can add products into the cart without reloading the page. Content of Cart can be expandable with effects: The expanded line shows each product with quantity, the thumbnail, the name and sub-total. 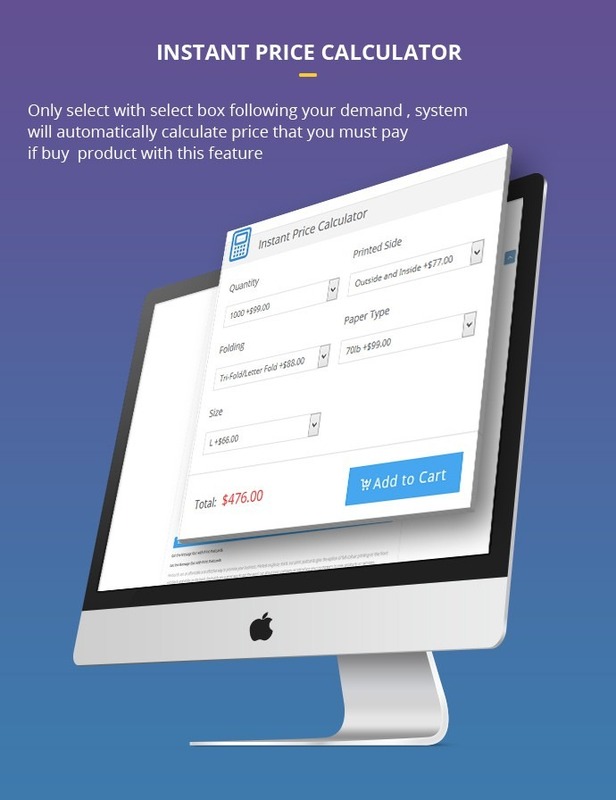 Update products without loading pages: Immediately update the total price of the cart, working with Virtuemart calculation system when your customers update products' quantity. Remove any product on the cart page: Your customer can remove any product from the drop-down cart, also they can empty cart by just one click. 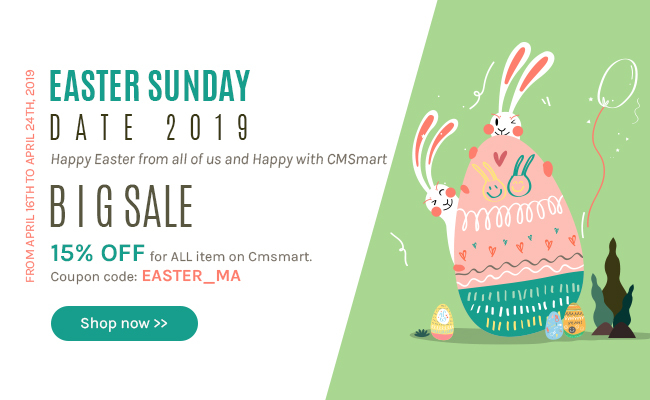 Support multiple skins: 5 colors available (Blue, Black, Pink, Red, Gray), suitable with many different types of ecommerce businesses, Virtuemart admin can choose colors from admin panel. Easily customize pop-up skin: Administrator can choose colors suitable with your store from admin panel. Config image thumb on cart: Config size of images thumbnail from admin panel. Flexible config: Show/hide the delete button - Show/ hide the update button - Show/hide quantity input function - Show/ hide the update function for all products. 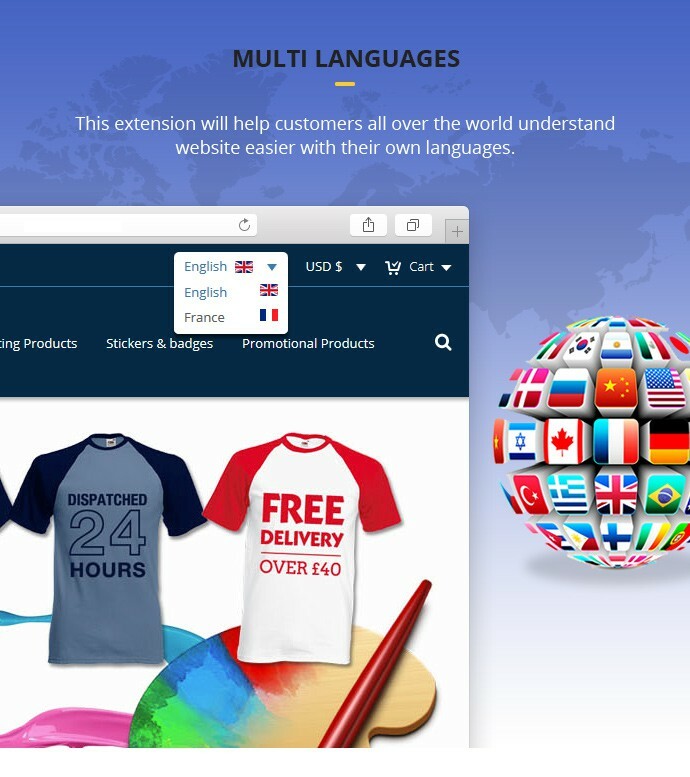 This extension will help customers all over the world understand website easier with their own languages. 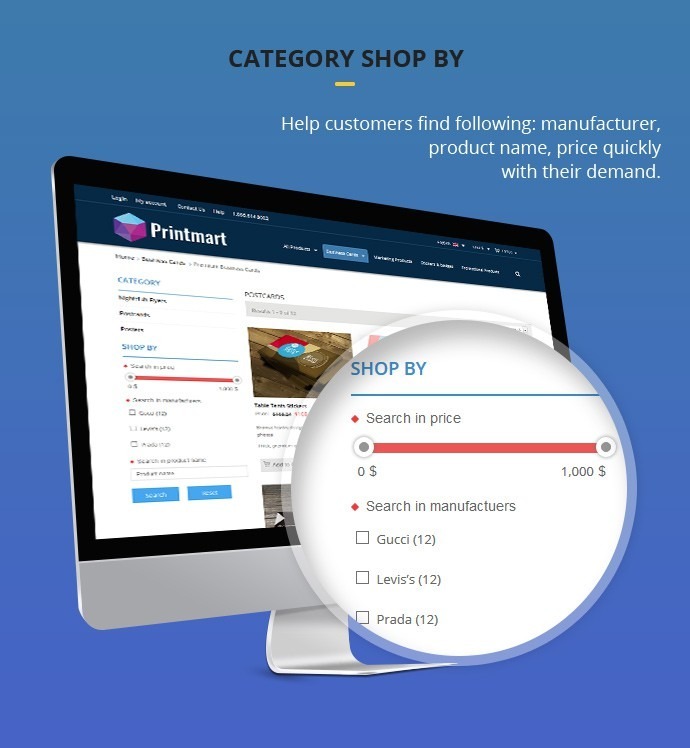 Category shop by - Help customers find following: manufacturer, product name, price quickly with their demand. 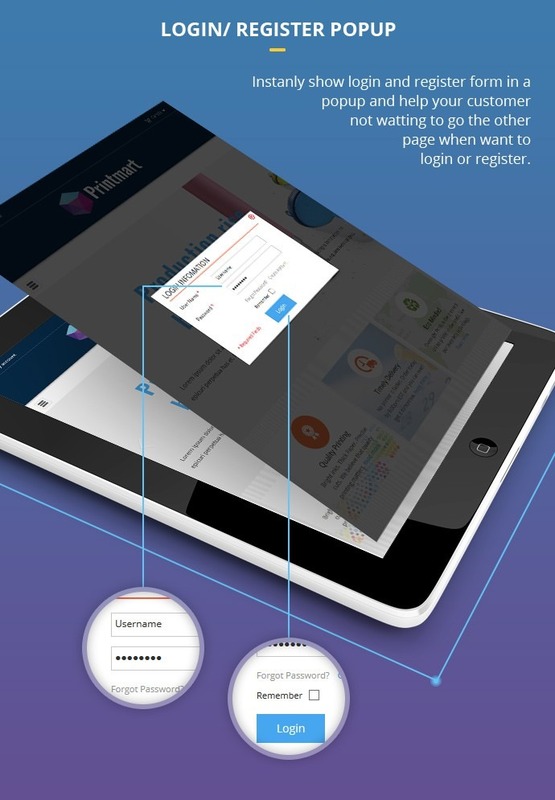 Login/ register popup - Instantly show login and register form in a popup and help your customer not waiting to go the other page when want to login or register. 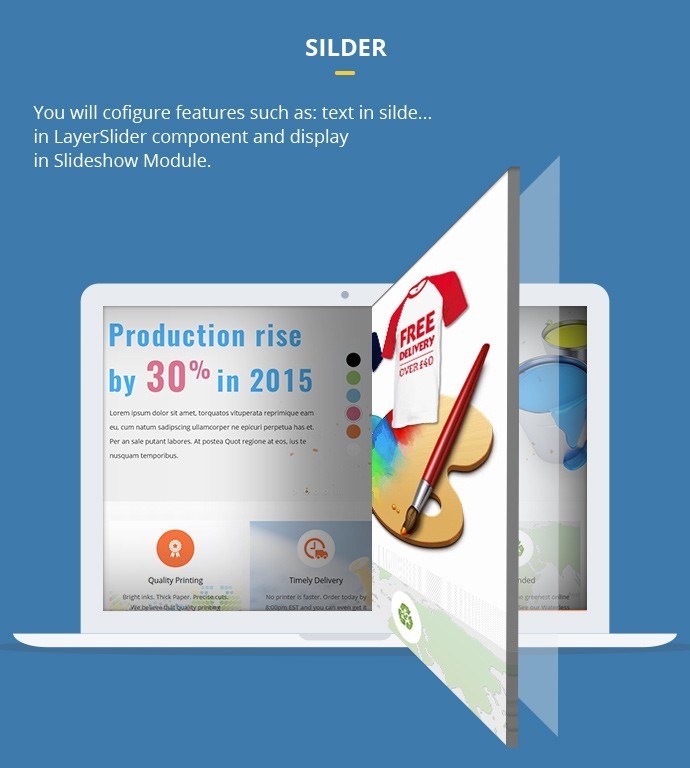 Slider - You will configure features such as: text in slide... in Layer Slider component and display in Slideshow Module. 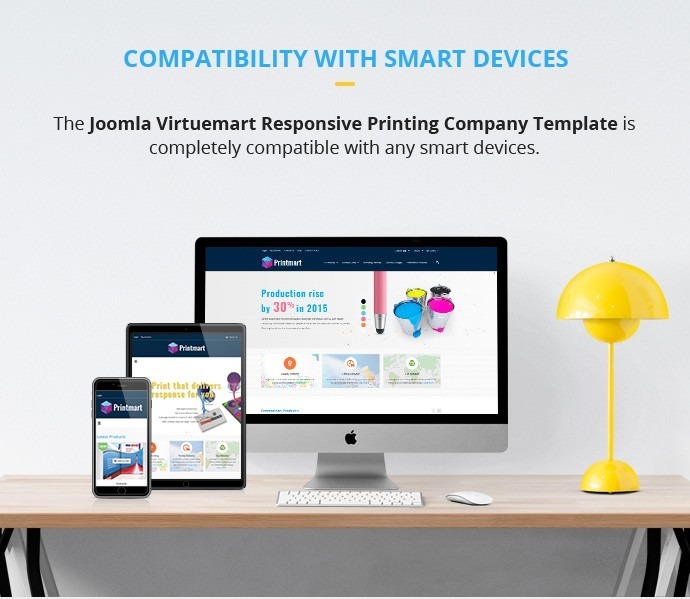 Compatible with smart devices - The Joomla Virtuemart Responsive Printing Company Template is completely compatible with any smart devices. SEO Optimization - We built One page checkout extension with proper SEO and HTML5 best practices that will improve your site rankings. CSS3 Animations - Using CSS3 to create checkout of layout with animation and interactivity and helping a checkout process run smoothly and attractively. Ajax login - Fully supported checkout mode: register, guest, logged in. Ajax pop up for login/forgot password to enhance customer experience. Excellent, thank you for the help. Thank you for updating the slider too. I am Infinitely grateful !!! After an extensive research on different components, I found cmsmart. With that I get many extentions. They are beautifully desigend and one can easily adjust it (appearance, funcionality) to his own needs. Often there are good offers for several extensions in a bundle. Besides the products being outstanding, the customer service is as well. The response time is fast, friendly and competent. Amazing template! clean code, beautiful design, using many extensions in this template and really very easy to set up. Highly recommended for any kind of website. First of all I'd like to give my thanks for the template; it simplified my work alot for a really good price. The one page checkout and the upload manager came in really handy and being able to customize the css made it very easy to adapt and integrate. Secondly, splendid job with the documentation; had just one little problem with the file uploading management, but the support responds quickly and fixed it without a problem even if the problem was with my vm setup. Keep up the good work! 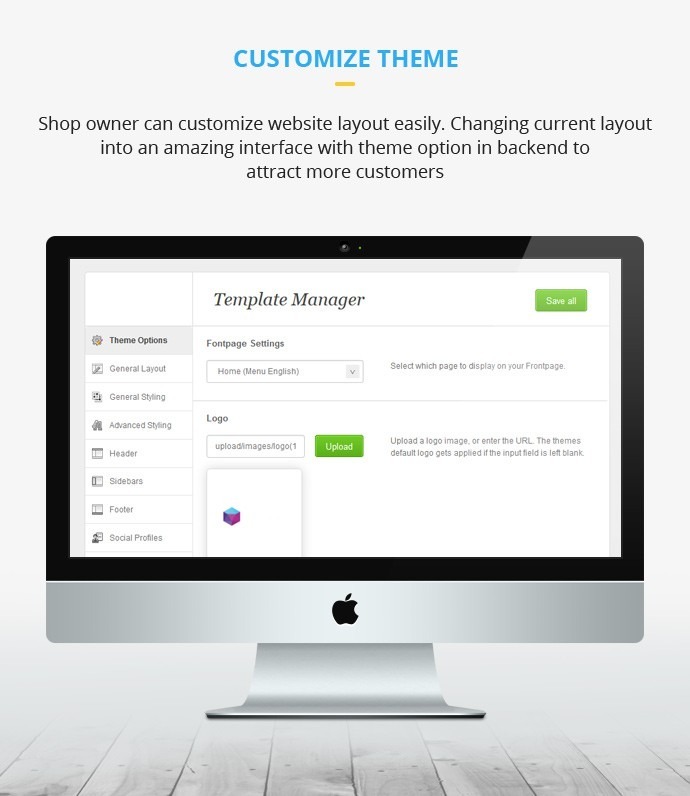 I love this template, great to configure and plus the super support from the coders! Great Job Guys keep up the good work! Congratulations to CMSmart team for the excellent job! This template is a top quality product. The support team works very fast and efficiently. I had all my questions answered and all issues solved. An example to be followed by all the other companies. Highly recommended! When i have had a problem, it have been solved. But under my experience, it does not have to take you a week, cause your project will delay more than what you expected. 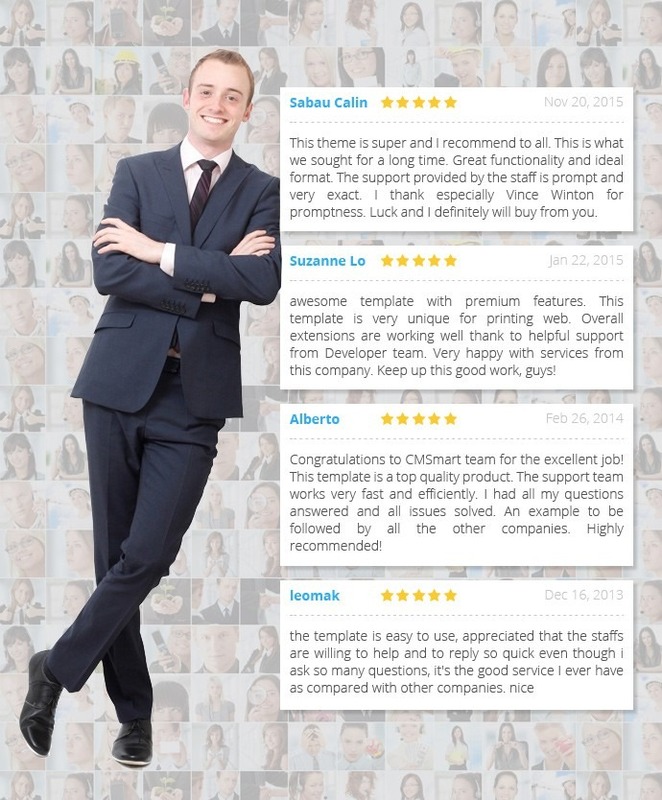 awesome template with premium features. This template is very unique for printing web. Overall extensions are working well thank to helpful support from Developer team. Very happy with services from this company. Keep up this good work, guys! I am a happy customer of cmsmart because my site was installed and verified to perfection by Phạm Thị Ngọc Mai. Installs, updates, fixes and tutorials were provided and completed within 12 to 24 hours of each request. This is what I can honestly say is Superb customer service like none other. The template is easy to work with, customization is really really easy and questions answered by Phạm Thị Ngọc Mai, a professional with great knowledge. To the CMSMART professional (specially to Phạm Thị Ngọc Mai) I can truthfully say that you work and professionalism is flawless. Great work and Great customer service. I will be recommending your product here in Puerto Rico. Congratulations. When using this template to my website, customers come to us much more than expected, too beautiful and too utility. Thank the developers. A smart technology products with excellent features serving to users easily, I like this hot product. The product is designed very beautiful, there are many extensions are attached on it, so it is very convenient for my customers as they entered the website. A great product. Hi, is there also a designtool in this template? Yes, we have a design tool in this template. In the instant price calculator, the prices comes like in the HTML5 theme, in a table? We are sorry that we can not have the price calulator extension for Joomla at this time. I see that you are caring printing template, we suggest Magento printing at http://cmsmart.net/magento-themes/magento-printing-theme. Many customers was satisfied with this product and you will save a huge money for sure. + Updated: Ajax Drop Down Cart for Virtuemart: helps customer add products to their cart without loading page. + Updated: Virtuemart Ajax Search Pro Module: easy to find products on keywords. + Updated: Refine layout of breadcrumb. + Fixed: Operation “Update quantity” in Ajax Drop Down Cart for Virtuemart module. + Fixed: “Delete product” function in Ajax Drop Down Cart for Virtuemart module. + Fixed: “Empty cart” function in Ajax Drop Down cart for Virtuemart module. + Login Module: Allow to register or login account in the form on the header of the home page instantly anywhere, no need to wait page loading. + Improve the tab coding in product detail template, reduce the hard code into the detail. + Update CSS, you can easily do the customization and change style sheet.